Many pastors are confused about what to say during children's time in churches. 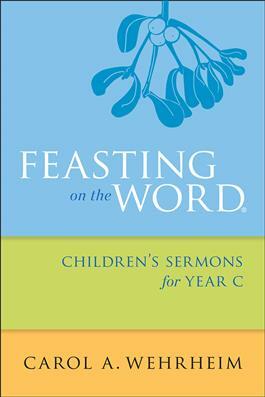 Feasting on the Word Children's Sermons for Year C offers practical suggestions for preparing and delivering the children's sermon. After explaining the purpose of the children's sermon, noted Christian educator Carol Wehrheim provides a retelling of each Sunday's Bible story—based on the Revised Common Lectionary—for the entire church year. In addition, a few stories are provided for special moments in the church's life, such as when a mission group is commissioned, church leaders ordained, a death occurs. This resource provides pastors and other church leaders with fresh, engaging stories that the entire congregation will understand and enjoy.